Eliyahu Hanavi Synagogue is a synagogue in Alexandria, Egypt. It is located in Nabi Daniel street. Built in 1354, it was bombed by the French during their invasion of Egypt in 1798, and was re-built in 1850 with contributions from the Muhammad Ali Dynasty. The Egyptian cabinet has said that EGP 1.3 billion has been allocated to renovate a number of archaeological sites across the country, and not only Jewish heritage sites, as the media had reported. 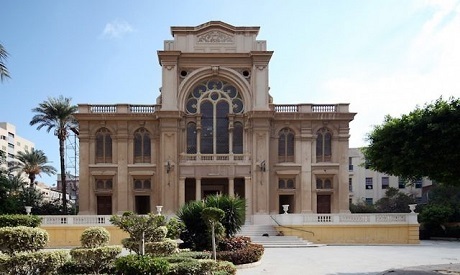 “The Ministry of Antiquities has allocated EGP 1.3 billion to renovate a number of archaeological sites in Egypt, including the Jewish synagogue in Alexandria,” read the Friday statement. “The Egyptian government gives equal attention to Egypt’s entire heritage, whether Pharaonic, Jewish, Coptic or Islamic,” it added.